♥ Underarm to hem measures 24cm approx. 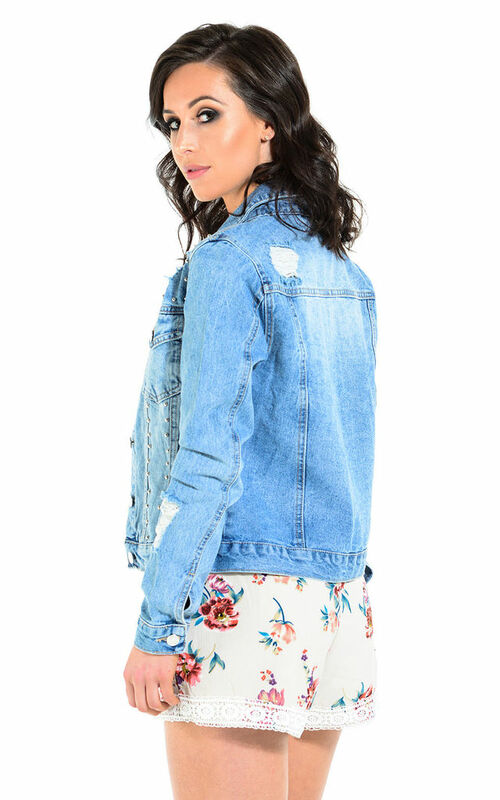 Add a layer to your spring outfits with this gorge stonewashed denim jacket! This blue denim jacket comes with breast pockets, button fastening and roll up sleeves. It also features a gorgeous stud detail across the front. Team this cropped denim jacket with high waisted jeans and heels for a dressy daytime look!